This work, which takes its name from the more complete copy preserved in London, portrays a young man in the act of placing a victor’s crown on his head after an athletic competition. 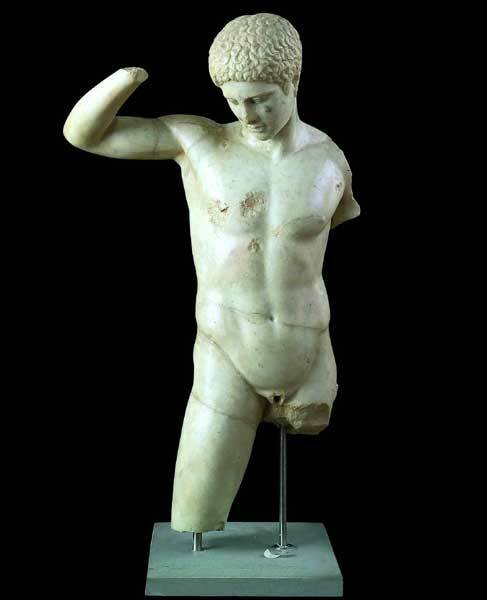 The sculpture reflects Polyclitus’s models of athletes, especially in the rhythm imposed on the limbs, with the right arm raised in counterpoint to the left leg, extended to support the body’s weight, while the head tilts to the right above the bent leg. 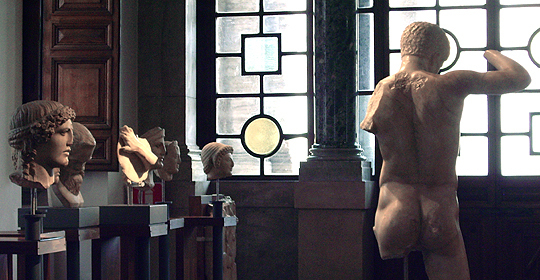 The statue can be attributed to followers of Polyclitus who were working in the late 5th century B.C.